Want to be seen as a supply chain genius? See how "The Power of One" can power your business. 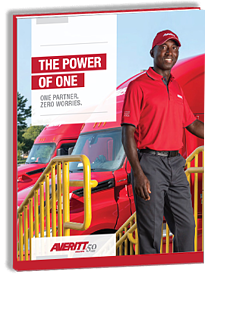 Complete the form to instantly download our 12-page guide explaining how Averitt's "Power of One" can help re-shape the way you transport goods in your backyard and around the globe. Odds are, your biggest challenge is one we've faced and overcome before. Let us bring our experience and services to the table for you! You'll look like a genius! Download more information and be entered to win!